We are looking ahead to Advent, which begins in just 6 weeks! At King Avenue, we invite members of the church family to be a part of worship during Advent as Advent Wreath Candle lighters. This is a great way for your family to celebrate together as we count down the weeks to Christmas. 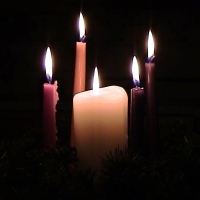 Would your family be interested in lighting a candle and reading an Advent scripture during this year’s Advent season? I will provide everything you need, so no preparation is necessary on your part.